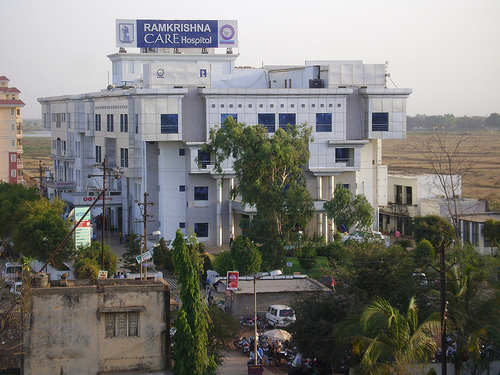 This week, our partner in India did another wonderful job at Ramkrishna Care Hospital and gained a very good testimony from this hospital. Practicing medicine as it should be practiced. CARE is one of the fastest growing hospital chains in India, engaged in providing primary as well as tertiary healthcare services. It is a hospital chains that is founded and managed by professionals with a mission and a passion for providing healthcare for the needy. At CARE, the growth has been phenomenal. From a 100-bed single specialty Heart Institute facility focusing on cardiac care in Nampally (Hyderabad), CARE has become a multi-specialty hospital chain comprising of 1600 beds across 12 hospitals. 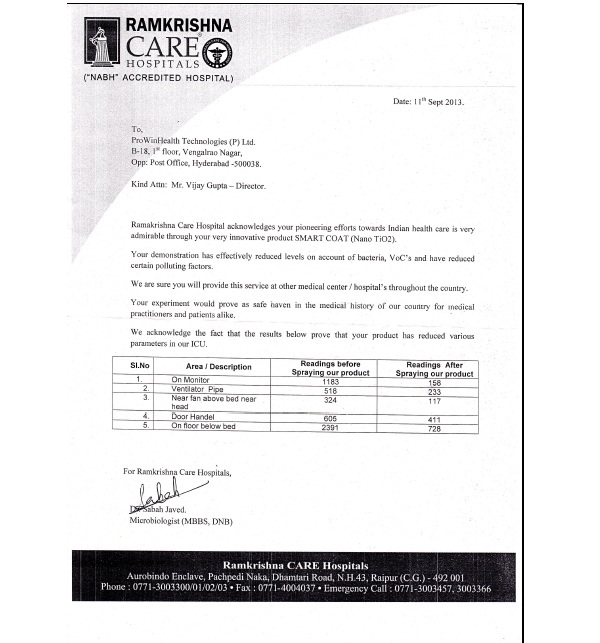 CARE’s reputation for its humanitarian and selfless service has ranked this esteemed institution as the fourth largest healthcare provider in India (CRIS-INFAC report, 2006). Our effort to provide quality health care with compassion has rewarded us with the honor of being the top healthcare provider in Andhra Pradesh. With the service-oriented Healthcare delivery model, CARE is geared to provide cost effective and user friendly medication. Despite the intense competition and intense marketing tactics employed by multiple commercial corporate organizations, CARE has carved a niche for itself by garnering the best reputation amongst the local masses. Armed with the best of the facilities in areas of Education, Research, patient care and highly qualified professionals, CARE endeavors to match global benchmarks and conquer healthcare market in the second decade of its establishment. Another tremendous effort achieved by our oversea’s partners. More to come… Please stay tuned. Check our our website at http://www.greenshieldtio2.com for more updates.